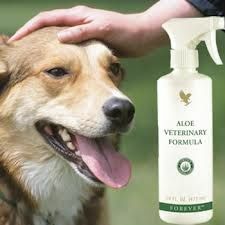 The best aloe products for dogs come from American company Forever Living. In his book "Aloe Vera - Nature's Gift" veterinary surgeon Dr. David Urch describes how he uses these aloe vera products in his veterinary practice. The products from Forever are very high-quality, and have been awarded the International Aloe Science Council seal of approval, which ensures that they have been tested for purity and content. 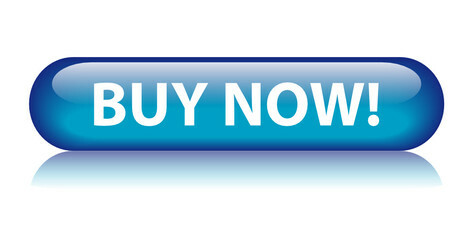 All the best aloe products for dogs from Forever also come with a 60 day money-back guarantee. 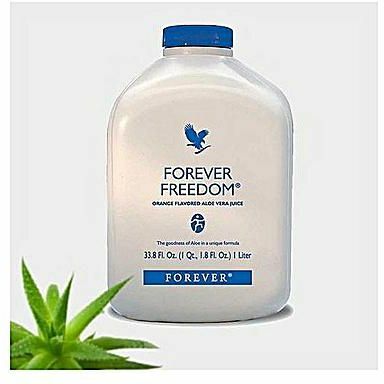 Forever Freedom is a premium aloe vera based drink product. 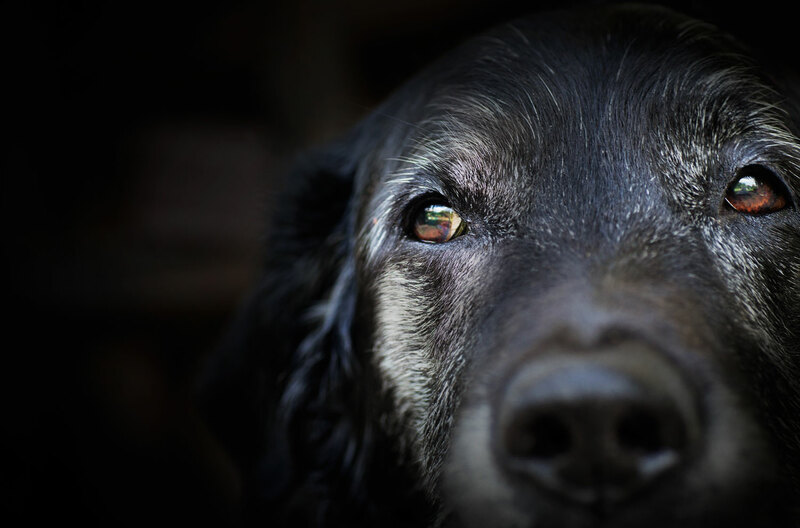 It's powerful anti-inflammatory properties make it perfect for treating problems such as age-related arthritis and arthritis due to hip dysplasia, where inflammation is the root cause of your dog's pain. Both these conditions cannot be cured, but can be managed by conventional drugs and paying careful attention to your dog's diet. Forever Freedom is a food supplement that you mix in with your dog's normal meals, rather than trying to get your dog to drink it neat! Veterinary surgeon Dr. David Urch recommends giving this form of aloe vera (which also contains Chondroitin, Glucosamine and Methyl Sulphonyl Methane - MSM -) to dogs with arthritis and hip dysplasia as part of the management of this incurable condition. It helps to reduce the inflammation within the joints, and boosts normal joint function. He has found in some cases that Freedom aloe supplement has been so effective that no additional drugs are needed! Forever Aloe Vera Gel is the standard drink product from Forever Living. The highest level of aloe vera is 99.7% in the unflavored drink. The recommended dose is 30ml to 60ml, depending on the weight of your dog. The flavored versions have cranberry or peach extract, which lowers the concentration of the aloe vera, but these additions have some extra benefits of their own. For example, the cranberry version is effective in conditions affecting the urinary system. This product is suitable as a food supplement to keep your dog in healthy shape. Veterinary Surgeon Dr. David Urch lists the benefits he has seen when prescribing aloe gel as a dietary supplement - it's anti-inflammatory, contains anti-oxidants, improves blood flow, decreases itching in skin conditions, lowers temperature, and supports the immune system. Propolis is a natural anti-microbial agent that bees use to maintain the health of their hive. Propolis is effective against bacteria, viruses and fungi. It has been shown to accelerate the rate of healing. 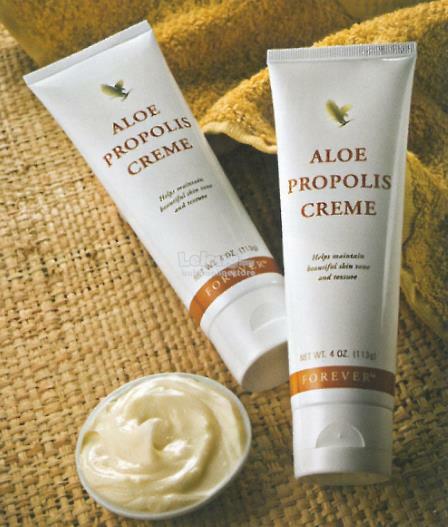 The Aloe Propolis Creme is rich and soothing and by combining aloe vera and bee propolis. It is used for skin infections and very dry skin on your dog. It will moisturize dry skin very effectively. 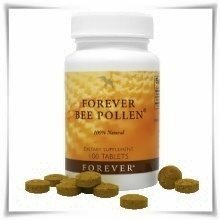 These Bee Pollen tablets are useful for any allergic condition such as hay fever and asthma. It is also useful as a supplement for animals recovering from an illness, because it is a complete food rich in all nutrients needed to support life. 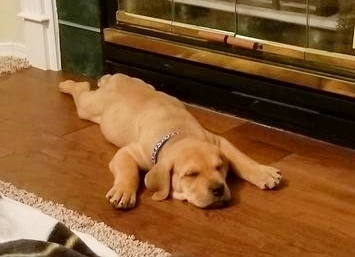 The typical dose for a 60lb dog would be one tablet, morning and evening. A small test dose should be given first, since some animals can be allergic to bee products. 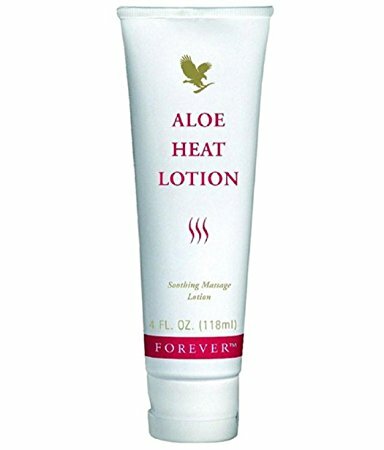 Aloe vera in a heat producing formulation. This encourages blood supply to the area of application and increases circulation. This is especially beneficial in soothing joints, ligaments and muscles. It must be applied directly to the skin and not the fur! It is most useful in helping to treat conditions like age-related arthritis and hip dysplasia induced arthritis. 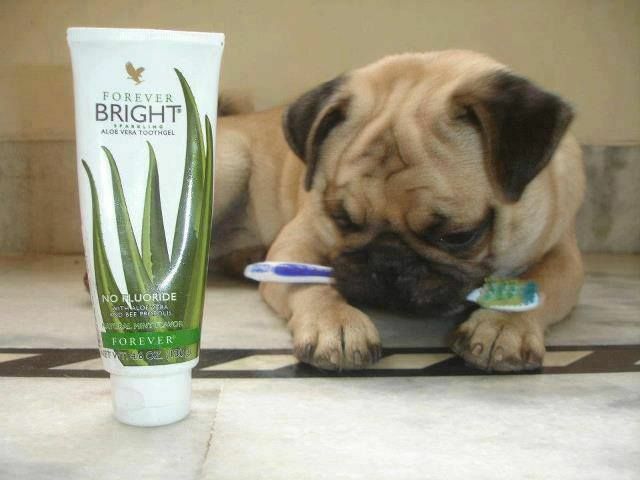 The Forever Bright toothgel is fluoride-free, and the anti-microbial properties of aloe gel result in less tartar build-up and healthier gums for your dog. It also contains natural spearmint. You can use it to gently brush your dog's teeth, and you can also massage a small amount into your dog's gum if there is a gum problem in a particular spot. The Aloe First Spray is a blend of aloe gel, bee propolis and herbs. It is useful for cleaning any wounds, cuts and abrasions that your dog may pick up. The anti-microbial qualities of aloe vera will kill any bacteria, while the anti-inflammatory effects will calm down the affected area. The bee propolis is also strongly anti-microbial, and also helps to calm down inflammation. The Aloe Veterinary Formula is similar to the Aloe First spray, BUT without the bee propolis. This makes it better for situations where you want to clean a cut or abrasion. It is a great wound wash out spray, and is also safe to use in eyes (although you must NEVER spray directly into the eye) and for use in the throat. After throrough cleaning, you should apply the Aloe vera propolis creme. 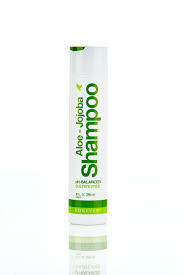 This new Aloe-Jojoba Shampoo is suitable not only for your hair, but for your pet's too! The aloe vera adds soothing and strong anti-fungal properties to this shampoo which is mild but also deep cleansing. It contains Jojoba oil as well with excellent moisturizing and conditioning properties. This results in a super shining, tangle free coat but above all a healthy coat! We highly recommend this shampoo for both you and your furry buddy. These are the best aloe products for dogs that we are aware of. 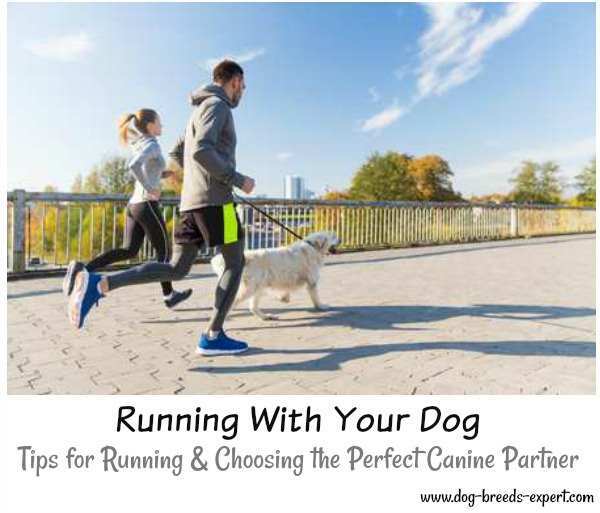 They are of very high quality, and recognized by veterinarians as being of value in maintaining the health of your dog as well as for treating certain conditions.